Don’t Drive With Your Cell Phone! Don’t talk or text on your cell phone while driving! Just a heads up… September 1, 2015 is the day that penalties increase for distracted driving (i.e. 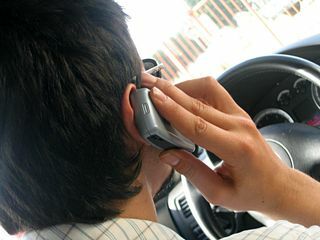 using your cell phone or other handheld electronics while driving) here in Ontario. Keep in mind that the fines will be up and the offense now carries 3 demerit points against your license. Not that these are the biggest reasons to avoid texting or talking on a hand held phone. Just because you manage to do it okay 99 times doesn’t mean it’s safe. Bill is the webmaster at Trucks-R-Us.ca. He develops and delivers training in Hours of Service, Pre-trip Inspections and Cargo Securement. He also assists Sylvie in performing safety audits.